Welding seems like a fun thing to do, and it even looks very easy but to be honest, it’s not an easy job and one needs a lot of practice and experience to call himself a welder. Most of you who you are reading this article at the moment has probably already tried DIY welding which is great, but we are sure of the fact that you didn’t get the results you were expecting out of your little personal welding experience. 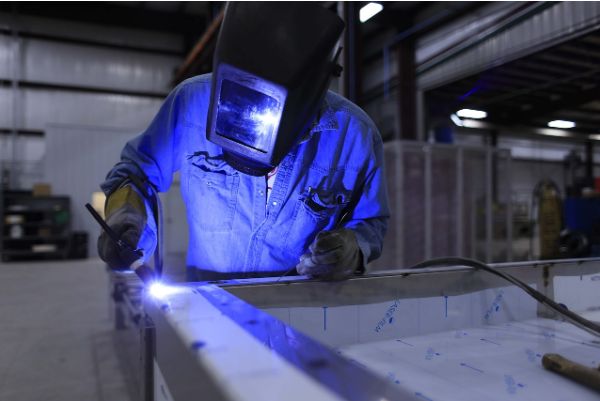 The point to telling you all of this is that whether you want aluminum welding or stainless steel welding, you can’t do it alone and you need some professional help because this process requires you to involve a lot more than you actually think. You need the right supplies, you need to know how to fix it all together and well, you need to be careful too because if you don’t weld it the right way, you might end up getting injured or destroying the metal or aluminum you are working on. Now, if you are someone who is still doubtful about hiring a professional welder and if you want some more convincing reasons then stick with us a little longer because we are now going to explain it to you in detail. For starters, you need the right welding equipment and that’s only possible if you have the budget to buy it because welding supplies are quite expensive. Also, why would you spend so much money on DIY welding that too for welding one or two things? It all just doesn’t make any sense, right? Well, this is one of the major reasons why you should opt for a professional welder instead of trying it yourself. You need the equipment and well, a good welder or a good welding company will always have it all. As said earlier, you need to be careful while welding because first, you can injure yourself and secondly, you can even go blind. Long story short, welding is one dangerous job, and you can end up burning yourself too which is why the wiser thing to do is to let the professionals do their work and stay away from such dangerous processes. If you like DIY stuff, try something that is less dangerous and something that is actually fun. As far as welding is concerned, leave it to the professionals. Welding looks so much easier on TV but in real, it’s one complex skill, and it’s not like everyone can do it without any experience or practice. Even if you buy all the welding supplies and even if you have the money for it, you still shouldn’t try it all by yourself without any professional help. Believe it or not, it can take weeks for you to learn to weld and be qualified to do it alone. So, why put yourself in so much mess when you can call a welding service provider, get the job done and pay him the amount as per his services? These are just a few reasons why you should hire a professional welder instead of DIY welding. Use the tips we just mentioned above, learn some lessons and call a welder right now to weld whatever you want to get done. Believe it or not, once you hire someone, you won’t be disappointed with the decision you made because it’s going to be worth your time and money.